Through the desert, to the mountains. Paying homage to one of the state of Oregon's most iconic mountain passes, the McKenzie 2 Bib Short from ProCorsa is back for 2018 with an improved chamois and new premium Miti italian fabrics. Designed with top-level materials so you can climb, descend, and power through in complete comfort and conceived in Portland, Oregon. 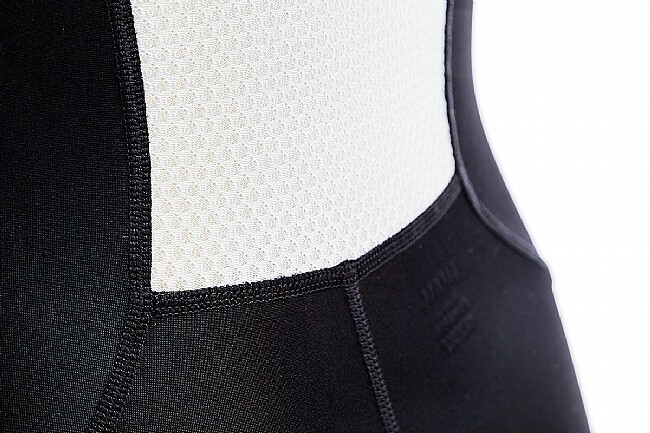 Flat-lock stitching lies chafe-free against the skin, and a seamless inner leg prevents bunching or irritation. A generously wide compression band provides even pressure distribution at the cuff, and it's cut at a slight angle for that extra bit of subtle style.Featuring a brand new Cytech chamois delivers lasting comfort and support thanks to 10mm of quick-drying, high-density foam and wide mesh bib straps up top comfortably keep everything in place. With its understated look, the short only features one small ProCorsa logo on the left thigh that lets the quality and craftsmanship of this garment speak for itself. Made from premium Italian Miti fabrics. Waist 28"-30" 30"-34" 34"-36" 38"-40" 40"-42"
Hips 38" 40" 42" 44" 46"
Really good for the price I paid on sale. This cytech chamois is super high end. Reasonably priced, comfortable and it just fits like a bid short should. Most bibs are too short in the torso - The shoulder straps constricting and uncomfortable. That applies to a lot of bibs costing much more. I'm a small man - 5'6 and 135lbs. It seems silly that I would need to consider large size shorts for them to be comfortable for length. For me, the ProCorsa Mckenzie 2 Bib Shorts are immediately comfortable the first time you put them on. With proper fit and length. No bunching or hotspots. They just work. It may seem strange to praise a product because you're not thinking about it. But really, in this case, that is a good thing. They're comfortable, disappear from your awareness, and you can concentrate on just riding. These bibs are extremely comfortable and don't move around on long rides. I am 157 pound, 5'9 tall with a 33 waist and a medium fits perfect. The chamois is very comfortable. AS noted, the inseam is a little less than an inch less then most cycling shorts, which has no functional issues, just feels strange every time you wear them. I don't hesitate to wear them on a century ride though. I purchased a few pair of the Mckenzie bib in the past and this is a nice upgrade. The chamois is significantly better. I am 5' 11 and 175lbs the large fits me well. Very comfortable value bib short. Very comfortable straps. Chamois more than adequate for most rides. Great for trainer rides..... The legs are short. I would recommend these on sale for riding on the trainer. Frankly they're a nice pair of shorts and are quite comfortable. But the leg length.... I'm 6'0 tall with a 32 inseam, and these shorts come up pretty high on my thigh. I can't help but thinking 'Who wears short shorts' when I put these on. I can only imagine that if I rode them outside and switched from my other bibs to these, that I would have a solid few inches of sun burn on my quads. 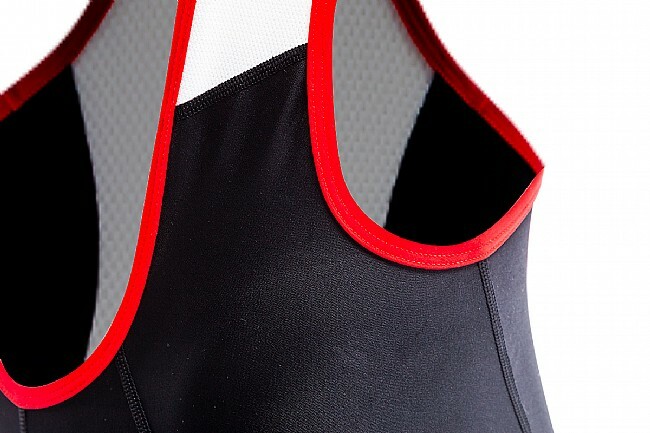 So, if you want a solid, quality pair of bibs, hopefully on sale for riding on your trainer. I'd recommend these. Wear your other bibs outside thought. Well padded and light weight. Have worn the bibs several times on rides between 30 and 70 miles without any issues. 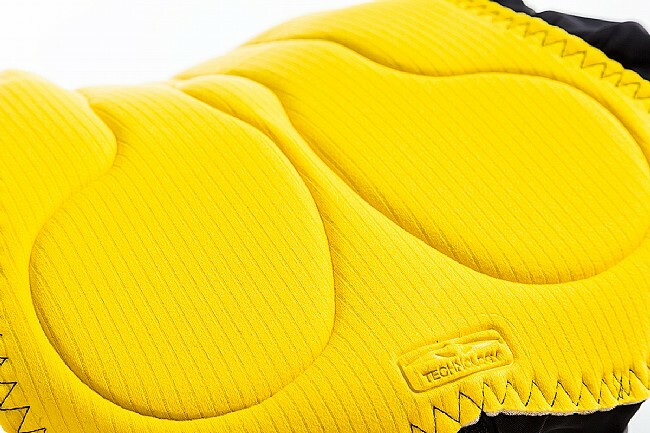 The bibs padding Is comfortable and the upper part of the bibs is lightweight and unobtrusive . The old version of these are possibly my favorite bib shorts, and I've probably owned every sub-$200 pair out there over the years. Easy to buy at the regular price, complete no-brainer at the sale price. Super fit & a great chamois for a bargain price! I've bought many different brands of bib shorts and have always found I got what I paid for and it wise to stay away from bargain brands. These were on sale, and between the excellent fit & finish plus a chamois made for long ride comfort I got way more than I paid for. Average ride length 30 to 45 miles. Padding ok, but the leg openings are too big or not enough gripping fabric. To compound that problem, the legs are too short. 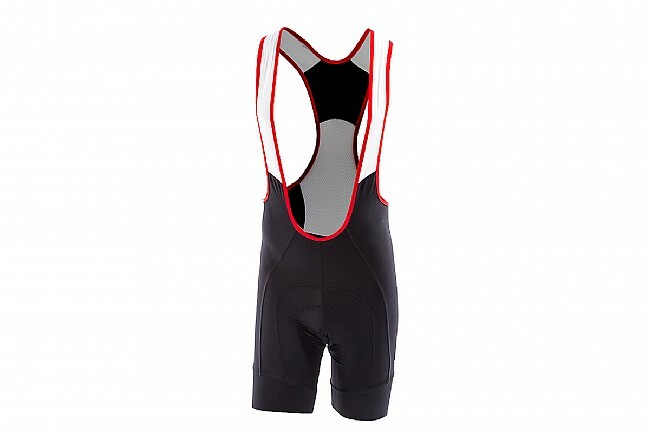 Before this pair of bib shorts, I have NEVER had an issue with leg openings being too short or too loose. When you also consider that my body type is of a sprinter and not a climber, the leg fit issue is significant. I would not recommend them. 5'11, 180 lbs., and bought a large. Sizing chart was of no use, not even close to being correct. Should have returned them. They are super short in the leg length. I have an older pair of Mckenzie bibs and the legs are a little short. The Mckenzie 2, I got medium (I am 5'7, 155) and they are even shorter, I probably won't wear them except as a liner under baggies. The new generation pad is good and flexible like the old one. Very well built bibshort but agree with others that leg length is 1-2 inches less than normal. Size large works for me at 6' &180lbs. Great quality, stitching, and materials in these bibs. Super comfortable. Fits as expected, except leg length runs about an inch to 2 short depending on how long you prefer them. No grippers on inside leg cuffs. Good value when on sale. Im 6.0, 175lbs, and medium fits great.